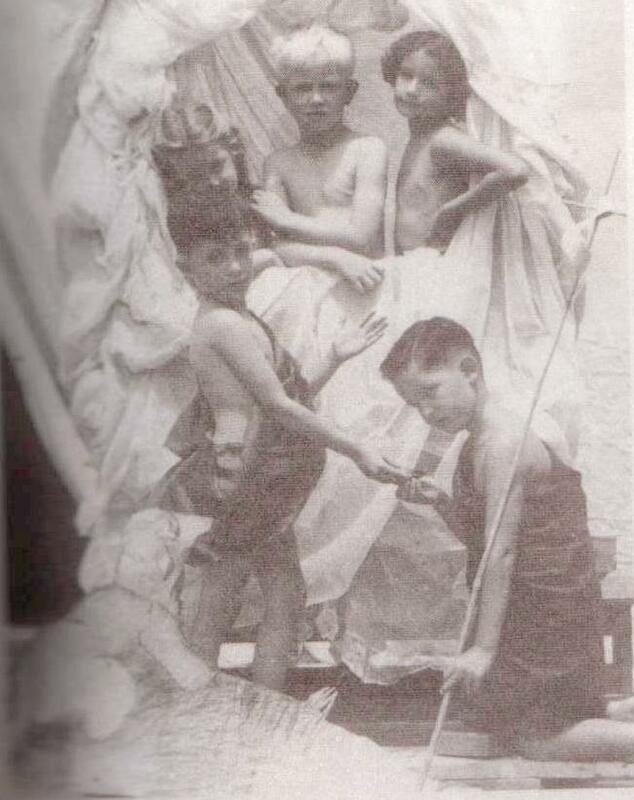 Happy and Jack, sons of Mr. and Mrs. Jack Simmons, the United States Ambassador to El Salvador; Kathleen, daughter of Mr. and Mrs. Chester Hackbarth; Nuria, daughter of Mr. and Mrs. Ricardo Sagrera; Betty, Sandra, and Gary, children of Mr. and Mrs. Earl A. Terzian; and Sylvia, daughter of Mr. and Mrs. Ed Wilson. By this time, the school had sixty-four students enrolled and had hired additional national and American teachers. The ideal of the school’s founders was to create a non-profit institution that would provide a bilingual education to all, without discrimination, as stated in the 1948 by-laws. Parents paid the annual tuition, in advance, to have funds available to purchase and order educational supplies from the United States. In 1947, the school moved to a new location at Calle Antigua a San Antonio Abad. Because this location did not have adequate playgrounds Mr. Earl Terzian donated the necessary building materials and lent the heavy equipment with which Escuela Americana constructed its first athletic field. One central goal of the founders was to add one grade per year until Escuela Americana became K-12. Another goal was to bring teachers from the United States to teach all English classes. Tuition was used exclusively to pay for teachers’ salaries and educational materials. In 1951, the Elementary School was built in Colonia San Benito. The land was bought at 3.00 colones a square “vara.” Another portion of land was donated by the Compañía Urbanizadora de San Benito. Ernesto de Sola designed and developed the blueprints as well as supervised the construction of the building ad honorem. As enrollment continued to increase, additional classrooms were built to house Kinder through Eighth grade. 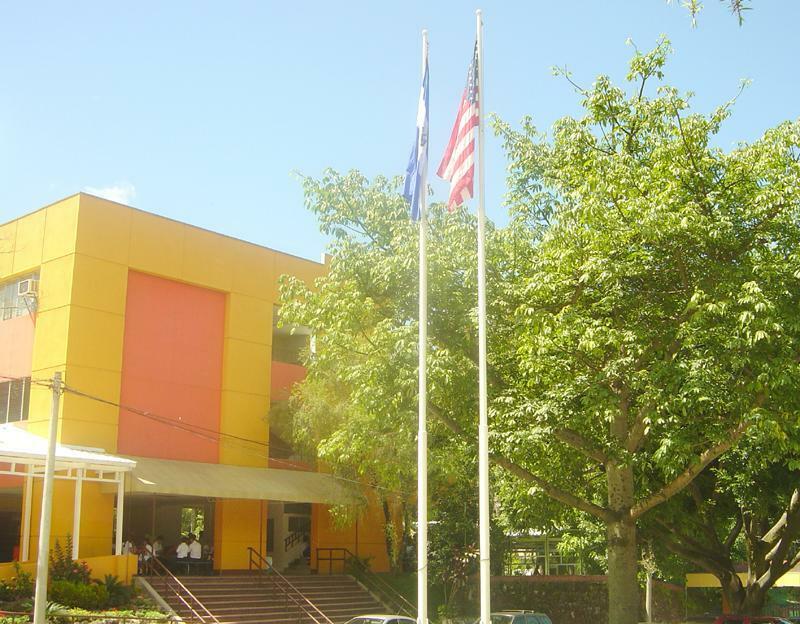 By this time, the United States Government donated $4,000 annually to the daily operations of Escuela Americana. Compañía Petrolera Chevron, whose manager at the time was Mr. Roberto Cabrera, awarded scholarships to outstanding students. 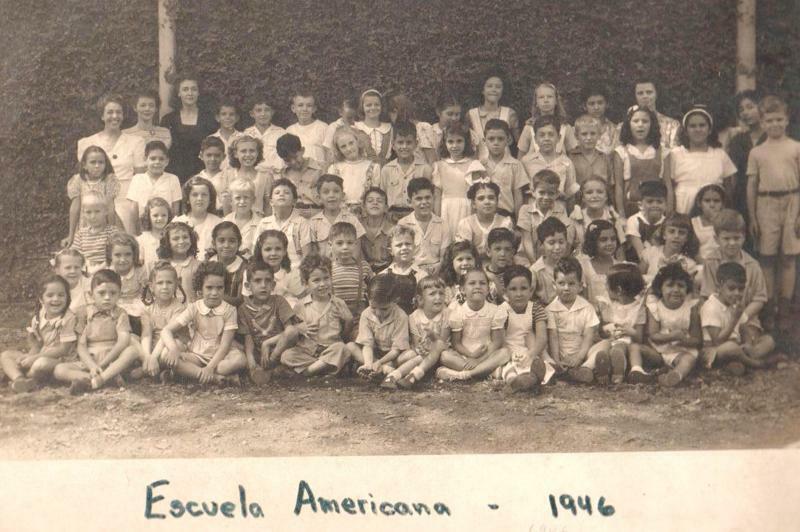 1955 marked the beginning of plans to expand Escuela Americana to include a high school. This project was completed in 1957. 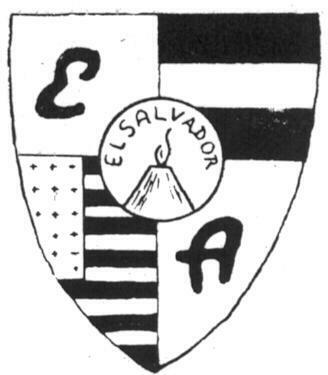 Later, both schools merged to form the present Escuela Americana Association. The American School began in 1944 with the ideal to create a non-profit institution that would provide a bilingual education to all without distinction. Two of the founders' main goals were: (1) to add one grade per year until Escuela Americana became K-12 and (2) bring teachers from the United States to teach all the English classes. What started off as a small school is today home to more than 1,700 girls and boys in grades Pre-kinder – 12th. 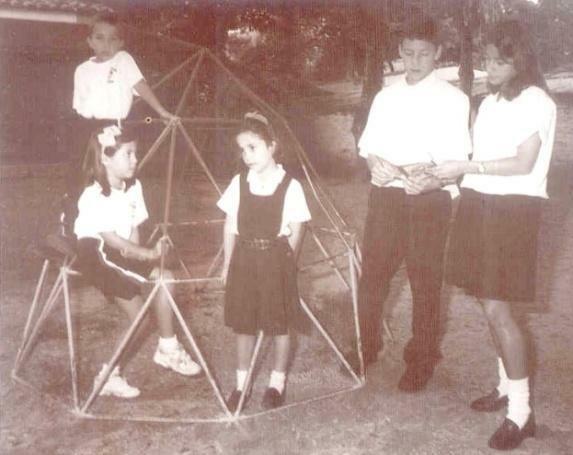 With an lush 32 –acre campus in Colonia San Benito and La Mascota, the Schools mission is centered on being a bicultural, college preparatory school while shaping responsible members of society. 1946: An official announcement was published in the "Diario Oficial" on Tuesday, November 19 publicizing the school. "The American School is now created with the technical counsel of the Interamerican Educational Foundation and the cooperation of the Ministry of Culture." At this point the school had 64 students, and had hired additional national and American teachers. 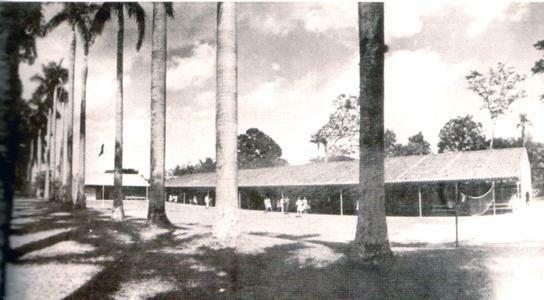 1947: The school moved to a new location at Calle Antigua a San Antonio Abad. Mr. Earl Terzian donated the necessary building materials and loaned the heavy equipment with which the Escuela Americana built its first athletic field. 1948: The first Board of Directors was chosen by the school's Founding Fathers: Dr. Julio Oscar Novoa, doña Mercedes de Zaldaña, don Ulises Varela, don Victor de Sola, don Joseph Maleady, and don William Amthor. This group was responsible for publishing the "Estatutos" that appeared on May 31 in the Diario Oficial. 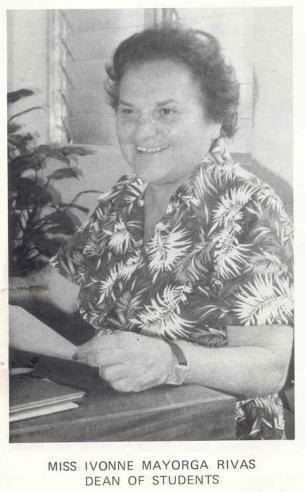 Mrs. Inez Terzian retired in 1948, leaving Madeleine and Ivonne Cournoyeras as Director and Sub-Director of the school. In addition, Fiorella Massi (a current EA teacher) and Roberto Ancalmo received the first awards as the best students. 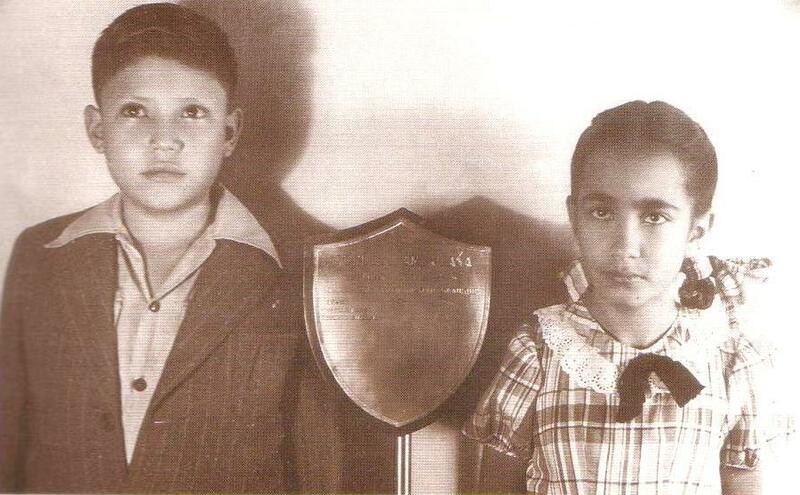 1951: The Elementary School was built in Colonia San Benito. The land was bought at 3.00 colones a square "vara." The San Benito Development Company donated another portion of land. Ernesto de Sola designed and developed the blue prints, as well as supervised the construction of the building ad honorem. Chevron, whose manager at the time was Mr. Roberto Cabrera, awarded scholarships to outstanding students. The first scholarship student, Rosa María Ortíz, later graduated with honors from EA's High School. 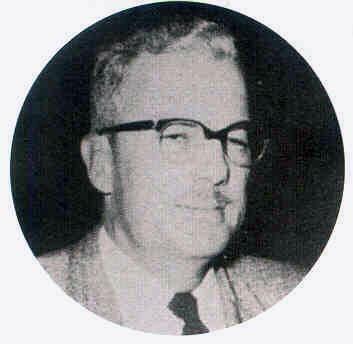 1952: Mr. Paul Becker arrived as the Director of Elementary. With Mr. Becker's enthusiasm, Escuela Americana's reputation and enrollment rapidly increased. The school soon became a multi-national education center. 1955: Konstance Deja (de Motz) won the contest for the design of the first school emblem, which was used from 1955 to 1964. 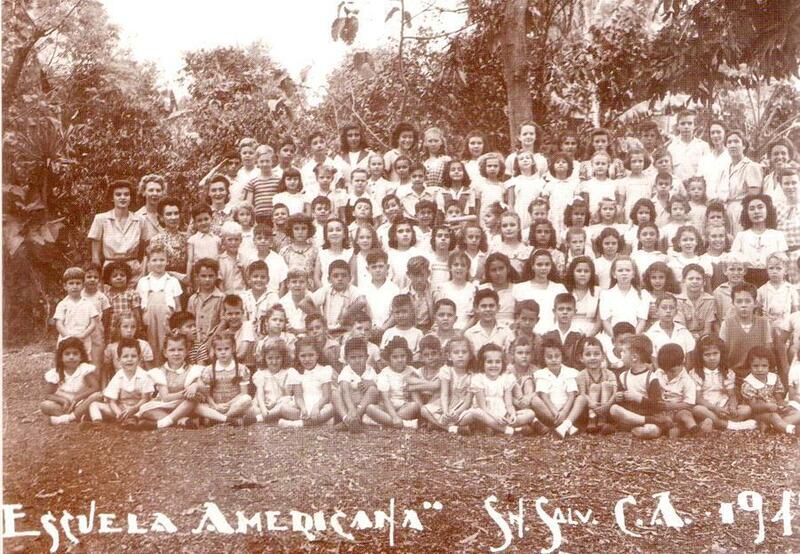 1956: The High School of Escuela Americana was officially founded, starting off with ninth and tenth grade classes consisting of 39 students and two permanent American teachers. Mr. Toby Kilgo was the first director of the High School and he taught English, while Mrs. Antonia Portillo de Galindo was the first vice-principal and she taught Spanish. Classes were being taught in the "Pink House" but the school was growing so quickly that it needed more space to house the students. 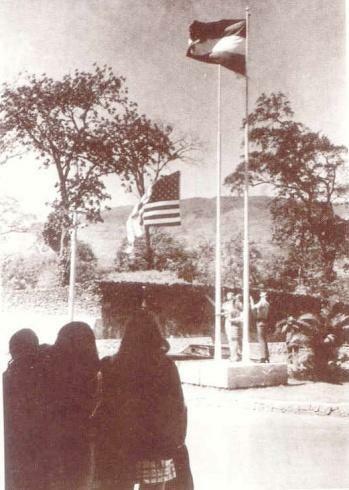 The American Embassy had a piece of land ready to build its new embassy on, but thanks to John P. Maloney and his friend Monsignor White, (then Secretary of State); John Herter gave the order to sell the land at a symbolic price of $1.00. Once the land was obtained, Mr. Earl Terzian began the process to build the structure of a building with "Steele Soule." The building was nicknamed the "Chicken Coops. 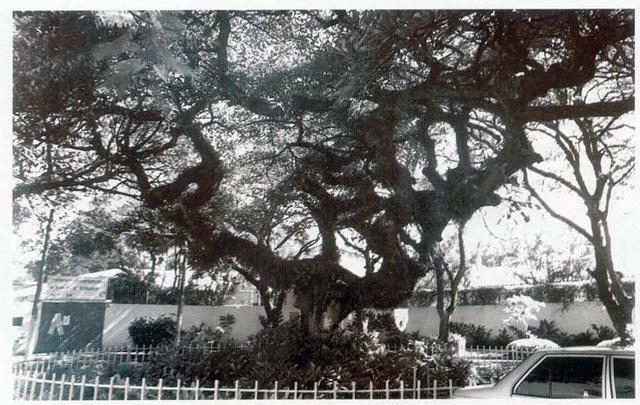 1958: The school's first yearbook, named Maquilishuat after El Salvador's national tree, was published with the hope that each year memories would be held in the book. 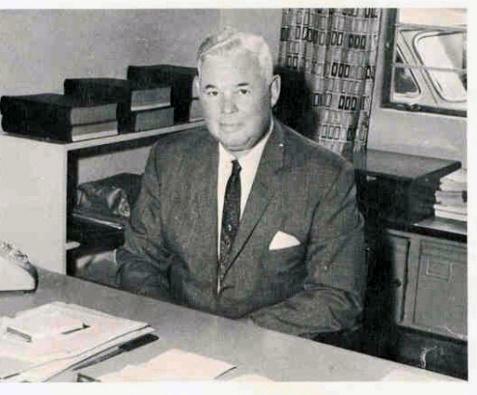 Mr. John P. Maloney began working as headmaster. 1960: Saw the first graduating class of Escuela Americana, and thus making it a complete four-year high school, The High School had grown to 60 students, and followed the same curriculum as high schools in the United States. 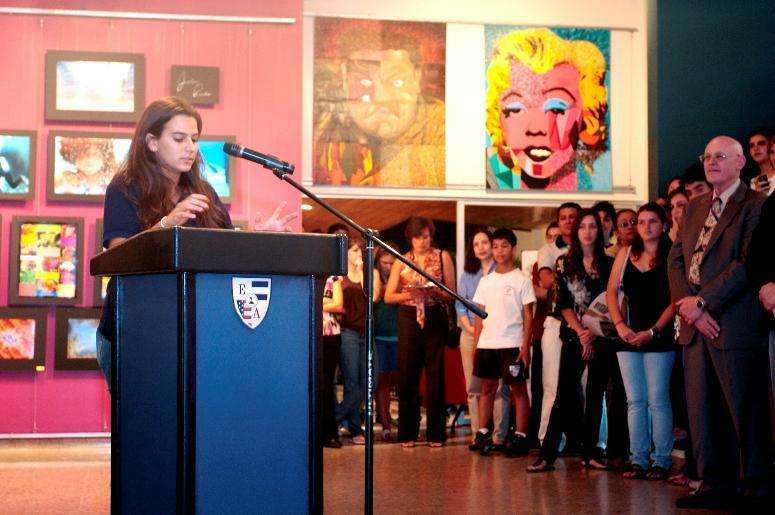 The graduation ceremony was held in the school's front hall. Marta Eugenia Ochoa began working at the school as the lower school nurse and she has continued to do so ever since. After a series of meetings between the Board of Directors and Administrators, both associations made the decision to merge the Elementary, Middle, and High Schools under the current name of Escuela Americana Association. It had its own guidelines and adopted a new emblem for the school. It was also during this year that the school began providing a bus service that lasted until 1986. 1970: At the inauguration ceremony of the new High School Building, held on February 10, U.S. Ambassador William G. Bowdler presented the American flag and Mrs. Carmel Sagrera presented the Salvadoran flag on behalf of the P.T.A. These flags still wave at the entrance of the High School. 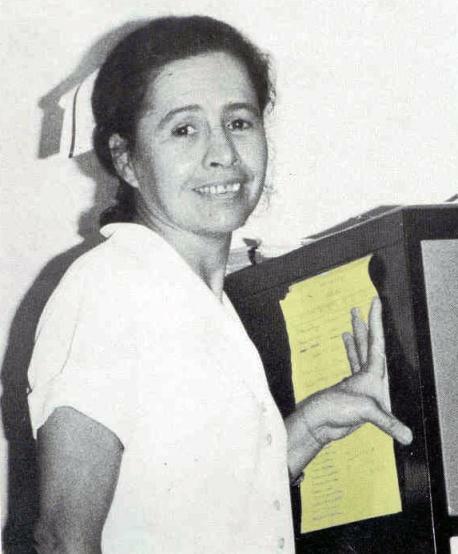 1970: Also during this year, Ivonne Mayorga Rivas came to the school and guided students until her retirement in 2008. 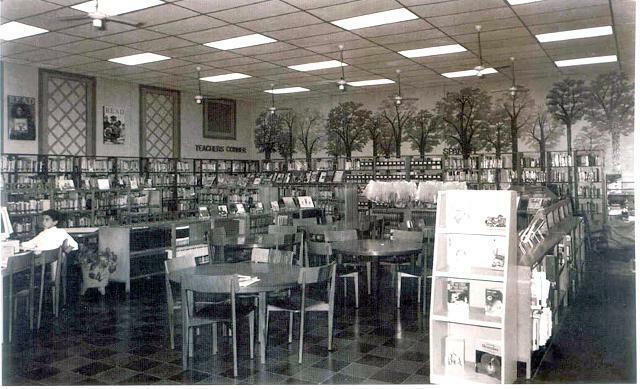 1971: The High School Library was dedicated to John P. Maloney, who devoted thirteen years of his life to the school. 1979: The Extension Program was founded as a service to the general community offering English classes weekday evenings, and on Saturdays for anyone with the desire to learn and expand the English language. 1982: A commemorative "Maquilishuat" yearbook was published, including all the historical facts of Escuela Americana. This project was completed with the help of three women: Carmen de Bloch, Carol de Sagrera and Ivonne Mayorga Rivas. 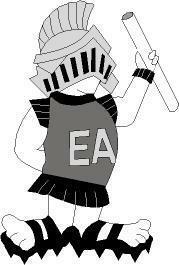 With the publication of the yearbook came Frank Angulo's design of the "Trojan", the school's mascot. 1983: While Victor Steiner was a member of the Board of Directors, he founded EXAM (Asociación de Ex-Alumnos) with the purpose of establishing and strengthening the union and spirit between its associates. EXAM also promotes the development of the school's architecture and other pro-bono activities for the school. 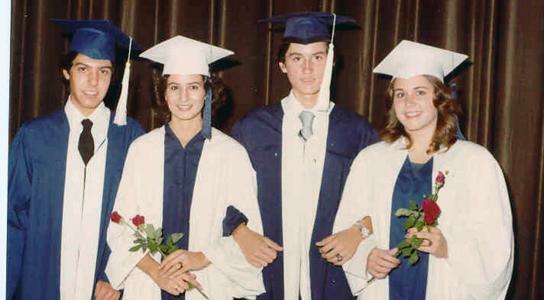 1984: Saw the twenty-fifth graduating class of Escuela Americana with 89 graduates. 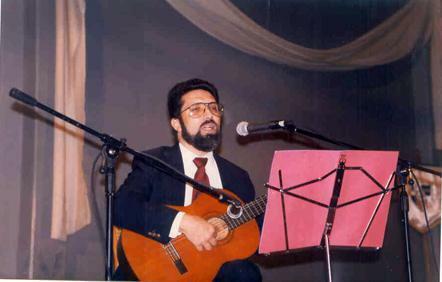 For this occasion, Salvador Marroquín composed a song,"Renacer", that was later interpreted in 1994 by the High School Choir at the opening ceremony of the Tri-Conference of the Association of American Schools of Central America, Mexico, the Caribbean, and Colombia. The association was formed to provide methods to improve international education and teaching among member schools, and provide more communication and cooperation among these institutions and governmental organizations in the field of international education. 1986: After forty years of students attended the school in their everyday clothing, the use of a school uniform was implemented. 1987: Due to the 1986 earthquake, the fortieth anniversary ceremony was postponed until March 1987. The ceremony included activities such as students planting a commemorative tree, a presentation of a cultural act, and a gala dinner. Among the activities, former student Francisco "Paco" Flores, Class of 1977, made a special presentation. During the ceremony, Paul and Vivian Becker, Sandra Terzian and other founding members and school friends accompanied us. Awards were presented to founders, directors, and teachers of the school. 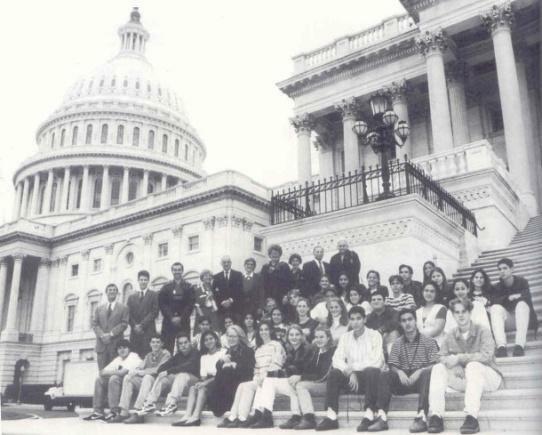 1995: The student-staff exchange program between the Escuela Americana and the Arlington Public School System began. The program gives our students the opportunity to experience a different culture, environment, and educational system. Visiting staff members gain valuable experience in a different educational structure and learn new institutional methods that can be used in the classroom. 1996: Two very important things happened in the history of the school: the foundation of FUPRODE and the Fiftieth Anniversary Celebrations. FUPRODE is the "Fundación Promotora de Educación", whose main purpose is to capture any additional funds for the school; it is not part of the school, but works very closely with it. In January of 1996, the entire student body gathered at the Elementary School Athletic Field for a very special celebration: an assembly to kick-off the Fiftieth year of excellence of Escuela Americana. The Alumni Association EXAM planned the event to share the love and pride they hold for their Alma Mater with our current students. A Lady Trojan on horseback brought our school mascot to life, young Trojans bearing balloons brought a festive touch to the ceremony, and a parade of vintage automobiles ushered "Special E.A. Family Members" to the stage. 1998: The creation of the TLC (Trojan Learning Center) in September came as a support for student learning. The TLC is a separate entity from that of Escuela Americana, but works under the umbrella of EA. The academic program offered at the TLC is designed to provide small group and / or individual instruction to students in grade one through twelve who have specific learning disabilities. The TLC's methods are based on multi-sensory instruction in a highly structured environment. 2000-2010: The past ten years have been the age of expansion for Escuela Americana. The school has added three Macintosh computer labs, and installed a computer in every classroom. The school now has a fully professional Publications Department that can print anything from paper to t-shirts. 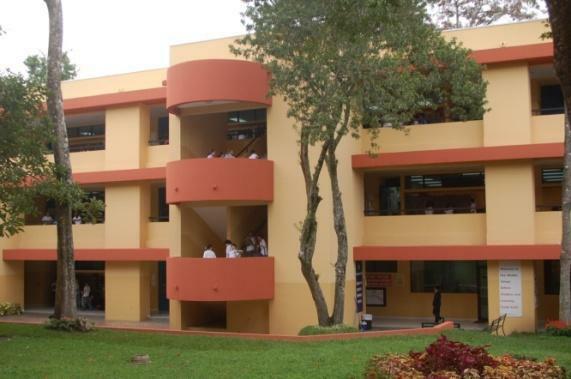 Not only has the school expanded its technology sector, but it has also expanded its infrastructure. There have been several renovations or new constructions of various buildings: the 3rd and 4th grade building, the Elementary School Library, the Early Childhood Center, the High School Building, a sixth grade building, the creation of the Arts Center and the renovation of the "Chicken Coops". 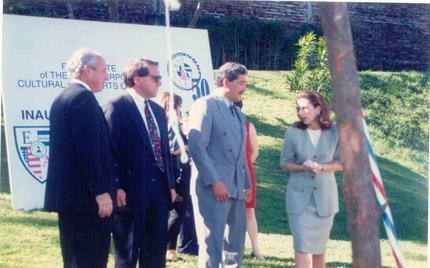 2006: Escuela Americana turns 60. The Celebrations include a School wide assembly and induction of two new members to the Alumni Hall of Fame. The new members are: Francisco Flores and Mia Guttfreund Lehrer. Former faculty members and board members were invited to tour the school and to a reception commemorating the School's birthday. The Escuela Americana Alumni Association EXAM held a party at Hotel Intercontinental with attendance of more than 300 people. 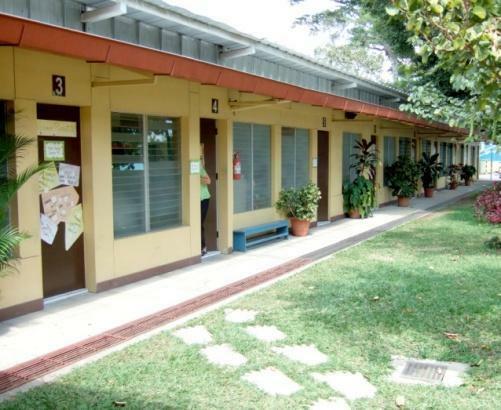 2004: The Early Childhood Center, inaugurated in August, which included the complete destruction of the pre-k, kinder, and first grade classrooms and the construction of a new building with a completely new layout. The early childhood center houses 20 classrooms for grades pre-kinder through 1st grades, and two multipurpose lobby areas. Each classroom is designed specifically for the need of early childhood instruction and learning and each contain an observation room designed for child education research and for parents to do periodic observations of their children in school. 2010: But the newest addition is the recently inaugurated Arts Center or better known as the "Art House". 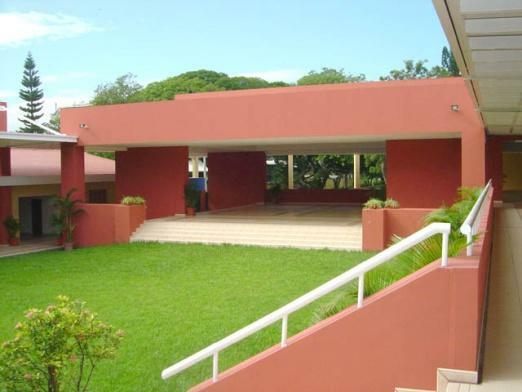 This is a space dedicated solely for the arts with 2 rooms for music, 4 individual practice rooms, a drama classroom with a stage and amphitheater, 2 art classrooms, 1 Mc Computer Lab and a spacious area for art exhibitions. Students who are inclined to the arts can now demonstrate their talent, perfect their abilities and produce their portfolios.